The Arabcom Group organizes the 17th MENA International Financial Conference and Exhibition on Thursday 3 and Friday 4 November 2016 at the Westin Mina Seyahi Hotel in Dubai. Marking its eighth anniversary, the show is successfully the leading B2B & B2C event in the MENA region covering a wide array of business and investments opportunities in the online trading, Fintech, and managed funds industries. The show is expected to welcome 1500 traders, investors, IBs, affiliates, businessmen, Fintech savvies, and decision-makers from 40 countries in the largest networking platform. Arabcom Group President Katia Tayar said that “technology has revolutionized the world of electronic investments and trading in financial markets,” stressing that “investors became more demanding while brokerage companies and service providers of financial services are in constant search for sophisticated tools and techniques to retain their customers and attract others and share experiences with them." The Expo will host top tier global brokerage houses, banks, financial institutions and academies which will showcase latest trading platforms, offerings and services. 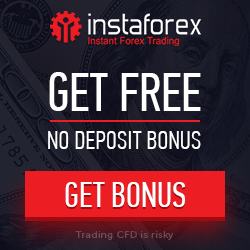 The main partners are Swissquote Bank Switzerland, ADS Securities Abu Dhabi, FxPro United Kingdom, Ayondo Germany, XTrade Cyprus, AFX Group United Kingdom, AvaTrade Ireland, ICM Capital Dubai, HotForex Cyprus, Fort Financial Services Belize, ActivTrades United Kingdom, B Pro Trader Egypt, Professional Traders Group United Arab Emirates, and more. The conference will witness structured sessions and panel discussions led by high-caliber speakers and financial gurus who will share their knowledge and expertise with the audience. Topics will equip traders and investors with latest trends, future outlook, trading strategies, case studies, algorithmic trading and robots. The conference agenda will discuss hot topics over two days as follow; Katia Tayar, Founder & President Arabcom Group Topic: How will MENA markets maintain strong economic growth – Federico Bentley Messerschmidt, Sales Trader Ayondo Topic: Social Trading – Stuart Cowell, Senior Currency Analyst Hot Forex Topic: The power of Fibonacci and Finobacci extensions –Mark Leigh, Chief Operating Officer Xtrade Topic: Education and money management are keys to trading success – Angelo Ciavarella, Head of Business Development AFX Capital Topic: What’s the life after Brexit in the currency markets – Ricardo Evangelista, International Desk Manager Activtrades Topic: Brexit, what we’ve see and possible impact – Ed Anderson, Senior Manager FxPro Topic: Top 10 FX trading basics you must know – Roy aaron, VP Sales Avatrade Topic: Education, introduction to sharp trader, post Brexit and pre US elections – Osama al Saifi, Senior FX Sales Manager Swissquote Topic: US interest rate: Fed next move and EURUSD: the path to parity? The conference and exhibition are open to the public on Thursday, November 3 from 10 am until 7pm and Friday November 4 from 3 pm to 8 pm at the Westin Hotel Mina Seyahi Hotel Dubai.